The POS-X Xc16 has been discontinued. No direct replacement is available. 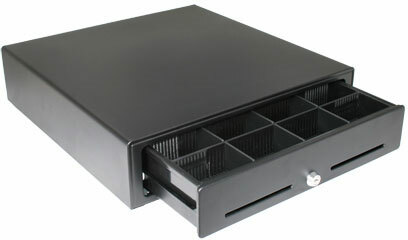 The POS-X Xc16 Cash Drawer is designed to take a beating. The Xc16 is printer-driven, and features removable interface cables, shatter-resistant till, smooth-rolling polyurethane bearings, and optional mounting bracket. With painted finish the Xc16 Series Cash Drawers is perfect for Restaurants, Retail Stores, or anywhere money needs to be securely stored.